All telephone numbers are expressed as local numbers. You will need to add the international dial code and the country code. Please note that the notes relate to the author’s journey and have not been updated. The cheapest option from London is with KLM (www.klm.com). International flights from London to Paramaribo, via Amsterdam, cost from £700. For UK nationals, visas can be obtained from honorary consul in London, Dr Amwed Jethu (07768 196 326). For general advice on travelling in Suriname, contact Claire Antell, Executive Secretary of LATA and UK representative of Wilderness Explorers, (www.wilderness-explorers.com) on 020 8417 1585. The International dialling code for Suriname is + 597. Wilderness Explorers (see above) offer tailor-made trips to Suriname. Prices include private transfers, all accommodation, guides, internal flights, and all meals outside Paramaribo. In Paramaribo, hire a bicycle for around £10 a day. However, beyond the city, there are few roads (effectively, one along the coast, and one into the Interior). On these, minibuses (or ‘wagis’) are plentiful and cheap (no more than £10). A taxi from Paramaribo to the border with French Guiana can arranged from around €60 (be prepared to bargain). All other transportation is by small plane. Visits to the maroons are best arranged through an operator. In the Saramaka’s territory, a stay at the Awarradam lodge, costs around €535 for three nights including flights. This trip can be arranged locally through the government agency METS (www.surinamevacations.com). A trip up the River Marowijne (to Paramaccaner territory) can also be arranged locally through Blue Frog Travel (www.bluefrogtravel.net). A four-day tour costs from €335, including transfer to the river at Albina, and all food and accommodation at the Loka Loka resort. Suriname is tropical, and has high temperatures year round (average temperature is 27°C). The heat is most intense from August to October. The main wet season is from late April to early August, with another from late December to late January. Don’t miss Paramaribo’s Fort Zeelandia. Started by the English in the 1650s, it’s like a scene from a Rembrandt. For a more recent star-fort, visit New Amsterdam in the river mouth. Admission to both costs a few pounds. Nearby are the Commewijne plantations. In the 1700s, they were among the most prosperous agricultural lands in the world. Today, of the 100s of great mansions, only a few survive. Despite the ever-present reminders of slavery (only abolished here in 1870), it’s a beautiful world of mangrove, forest, and lush farmland. For tours, consult METS above. Best known for its’ turtles, Galibi is an Amerindian village at the mouth of the Marowijne River. It’s home to 750 Kalinja Amerindians, who live mainly by fishing. There’s also a beautiful sandy beach, and in the laying season (February-August), the sea-turtles come here to nest and lay their eggs. The Brownsberg nature reserve, 130 km from Paramaribo, can be reached either by tour bus or by plane. Set at a height of 500 meters, it’s a fabulous introduction to the flora and fauna of the Guianas. From the Mazaroni plateau there’s a remarkable view over a vast area of flooded forest, the Brokopondo Lake. At the far west end of the country, bordering Guyana, Nieuw Nickerie was developed by the British in the Napoleonic War. Today, it’s a pleasing Dutch colonial town, criss-crossed with canals, and the centre of the rice industry. Nearby is Bigi Pan, a protected nature area, and home to numerous coastal birds such as the delightful red Ibis. As with all the Guianas, there’s the usual array of skins and framed butterflies. Be careful: exporting or importing these may be illegal (and Amerindian necklaces often contain jaguar teeth, which can land you in trouble). A better bet is the maroon art. Good paintings and statues can be found in Paramaribo at Readytex, Maagdenstraat 44 (www.readytexartgallery.com). It can be hard to buy artifacts in the maroon territories. Probably, the best guide is The South American Handbook 2010 (Footprint). There is also a local guidebook for business travellers, The Guide (Suriname Business Advisory), but it’s short on useful information for tourists (£3). 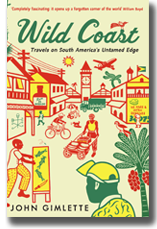 For travel literature, try VS Naipaul The Middle Passage (1962), and John Gimlette’s Wild Coast (February 2011). The choice of accommodation is good. The Hotel Torarica (www.torarica.com) is large, modern hotel, catering mostly for Dutch tourists and costs from £86 a night. For old-world charm (but no swimming pool), there’s ‘La Petite Maison’ (www.hotellapetitemaison.com) on the waterfront (‘Waterkant’), at around £50 a night. Rather cheaper and more basic is the excellent Albergo Alberga (www.guesthousealbergoalberga.com), which has a small swimming pool and costs from €17 a night, and the lively backpacker guesthouse, Zus & Zo (www.zusenzosuriname.com), costing from €17 a night. Both places offer bike rental. A wide range of tastes are catered for, generally reflecting the country’s varied cultural heritage. Among the most popular local dishes are Olie Bollen (oily bread), Pom (yam), Bami Kip (chicken noodles), and Pinda Soep with Tom Tom (peanut soup with plantain). The main alcoholic drink is beer (‘Parbo’) which is excellent. The rum is also good. Wine is expensive. In Paramaribo, there is good Indian cuisine at Jasmine, 85b Kleine Dwarsstraat (597 473 558). The Sidewalk Café t’Vat, opposite the Torarica Hotel, is popular with Dutch tourists, and does excellent bar food and beer. More upmarket is De Waag (597 474 514) on the Waterkant. Nearby, the foodstalls along the river wall are lively and picturesque, and serve good local dishes, freshly cooked, for only a few pounds a serving. In the maroon areas, the lodges tend to provide western food to the tourists. The food of the maroons is simple, forest fare, with cassava as its staple. In Paramaribo, the usual precautions should be taken, as with any small South American city. Avoid the Palmentuin (palm gardens) at night, and take care in the port area around Saramaccastraat. Visitors to the maroon areas are unlikely to encounter problems with crime. However, they should be aware that remote areas are occasionally used for the transshipment of drugs. So far, there are no reported instances of untoward encounters. Take a rain cape and waterproof bag. River travel can get very wet. Don’t visit maroon chiefs empty-handed: take gifts of tools, knives, rum or cloth. Swimming in rivers is a fabulous experience, but local advice should be sought. Particular care needs to be taken in the fast-flowing waters of the Marowijne. 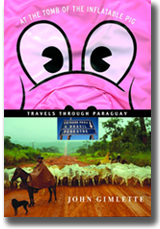 Journey Latin America (http://www.journeylatinamerica.co.uk; 020 8747 8315) offers tailor-made trips to Paraguay, which may be combined with trips to the Brazilian Pantanal, and the Iguazu Falls. Their 18-night ‘Jacana’ group tour (Rio to Lima, via Paraguay) starts from around £2,342 (US$3,981.40) pp including flights, accommodation, land transport and excursions. Return flights to Asunción (from London, via Sao Paulo), start from £598 (US$1,016) with Varig. Double rooms at the Gran Hotel del Paraguay (Tel: 200 051) cost from £50 (US$85) a night. Downtown, you might try the Asunción Palace (Tel: 492 151), which was once the home of Benigno Lopéz. The rooms cost from around £30 (US$50) a night. For cheaper accommodation, I stayed at the Residencial Itapua (Fulgencio R.Moreno 943 and EEUU: tel 445 121). Rooms cost around $5.80 (US$10) a night. Buses are cheap, clean and efficient. A boat passage to Concepción costs around US$5. The cargo boat, MV Guarani, leaves every Saturday from the port. There are many local tour companies in Asunción. I can personally recommend Paula’s Tours (Tel; 446 021); their agent, Dianny Elizeche, speaks good English. No trip is complete without a visit to the Jesuit reductions at Trinidad and Jesús, both UNESCO World Heritage Sites. Other attractions include the steam railway, Lake Ypacarai, the central highlands and the Mennonite colonies. For wildlife enthusiasts, the Chaco has over 600 species of birds, not to mention some prehistoric lungfish, armoured trees, vampire bats and a wild pig thought to have been extinct since Pleistocene times - until it re-surfaced in 1975. By air: London to St Johns, Newfoundland; Air Canada from £ …. return. The flight time is around 4½ hours. From St Johns there are flights to Goose Bay or to St Anthony, for connections with the ferry to Blanc Sablon in Labrador. Air Labrador run flights every day except Saturday to each of the fourteen larger outports on the Labrador coast. Contact them on sales@airlabrador.com or 1-800-563-3042. Coastal Boats: Inclusive cruise packages can be arranged through www.vikingtrail.org. Otherwise, fares are government-subsidised and based on the number of nautical miles travelled. Full time-tables can be found on www.gov.nf.ca/FerryServices or phone 1-800-563-6353. At most ports the boat stops for between 15 minutes and 2 hours to unload. Buses: The bus service around Newfoundland offers only limited coverage and is very expensive. The best way to see the island is by hire-car (and there are numerous agencies listed in each the main towns). Labradoreans are very hospitable and, if no hotel is available, someone will usually provide a room in their house. Expect to pay around C$50 a night for this. Unless otherwise specified, hotels generally cost around C$100 a night. Battle Harbour: A double room, full-board at The Inn costs C$150 a night. The beautifully-restored cottages can be rented from C$100-150 a night, with meals an extra C$30 per head. It costs only C$27.50 a night to doss in the bunkhouse. Reservations can be made through Margaret Pye on (709) 921-6677 or www.battleharbour.com. Cartwright: Spartan ‘motel’ amenities at The Cartwright Hotel; (709) 938 7414. Goose Bay: Several choices, the best is probably Bradley’s Bed & Breakfast (709) 8006. Hopedale; Bright rooms overlooking the harbour at the Amaguk Inn (709) 933 3750. Nain: Industrial in appearance and solid in its comforts, the Atsanik Inn (709) 922 2910 is the only hotel. Again a full list of restaurants and eateries is available from the tourist authorities. There are no culinary adventures in Labrador. Battle Harbour Inn is the best bet on the coastline; dinner costs around C$14. On the coastal boat, a main course from around C$7. The government ferries don’t start to run until the ice thaws in July. They stop at the end of September. The icebergs are bigger and more numerous at the beginning of this period but the black fly tend to ‘burn off’ towards mid-August. This is the ideal time to go. It is possible though difficult to buy Inuit art direct from the artists (such as Gilbert Hay and John Terriak in Nain or John Neville in Goose Bay). However the artists tend to keep little or no stock. To see a good range, visit The Birches Gallery, 18 Hamilton River Road, Box 1226, Station B, Happy Valley-Goose Bay. In addition to sculpture, Herb Brown sells a range of paintings, sea-grass basketware and Inuit weapons and tools. Remember that, north of the Hamilton Inlet, one cannot buy spirits. It is possible to stock up at the government Liquor Store in Goose Bay. These prices include private transfers, all accommodation, guides, internal flights, and all meals outside Georgetown. Accommodation is a mix of four-star hotels, jungle lodges and ranches. Guyana is hot, but not unpleasantly so. The mean shade temperature throughout the year is 27°C. The heat is tempered by the trade winds along the 270-mile coastline, and is most intense from August to October. The main wet season is from May to June, with another from late December to late January. Guyana’s average rainfall is 235mm a year. The cheapest option from London is with Virgin (www.virgin.co.uk) to New York and then onwards with Caribbean Airways via Port of Spain, costing a total of £648 and leaving daily. The flight time is 19-24 hours. A quicker option is via Barbados, with British Airways (www.ba.com ) and Caribbean. Independent travel is possible but difficult: much of the accommodation in the interior can only be booked by radio, and transport to the remoter areas and up rivers invariably has to be pre-arranged. Along the coast, minibuses are cheap (£3 from Georgetown to New Amsterdam) but have a poor safety record. A two-course meal in a restaurant costs around £6. Tipping is welcome but not customary. A bottle of water (0.5L) costs £0.45, and a local beer £0.70. Museum tickets are about £0.30. Try and include a day trip, by plane, to the Kaieteur Falls (about £100 depending on numbers). 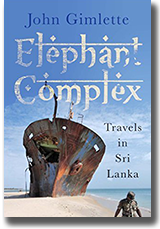 Other excursions include visits to a sugar estate, a few days on a beautiful, white sand beach at Baganara, and a day at Georgetown’s new $25 million cricket stadium. In Georgetown, the choice of accommodation is good. The Pegasus (www.pegasushotelguyana.com) is 1970s, business hotel, and whilst it has all the modern facilities it is perhaps a little over-priced at £… a night. The Tower (www.hoteltowerguyana.com) is cheaper at around £… a double, but is slightly shabby. For pure charm (but no swimming pool), there is the Cara Lodge (www.carahotels.com), at around £…. a night. Arrangements for staying at Iwokrama, Rock View, and the ranches (Karanambu and Dadanawa) can be made through Wilderness Explorers (above). The accommodation at the ranches is imaginative but basic, and the food is simple but good. Cuisine in Guyana is a mixture of West Indian, Portuguese (garlic pork), and Indian. There are also a few reminders of the days of British rule, with sausage rolls, fish and chips, and cake. Popular dishes include chicken curry, roti, chicken-en-de-ruff, cook-up rice, and black pudding. Fried fish (particularly Bangor Mary) is also popular. In the Amerindian areas, there may be bush meat (wild pig, or tapir), cassava and ‘pepperpot’ (a spicy meat or fish stew). Delicious savoury nibbles, called ‘Cutters’ are often served with drinks. Vegetarianism is well catered for, particularly in areas with a strong Indian presence. Lentils and chick-peas often form the basis of a tasty, well-spiced dish. Soft drinks include all the usual suspects, and are known as ‘Sweet Drinks’. However, most hotels and restaurants will also happily run up a refreshing lime soda. The main alcoholic drink is dark rum, which is often drunk with lime. The local beer (Banks) is also popular but is quite malty to the European palate. Wine is prohibitively expensive. In Georgetown, try the Sidewalk Café (176 Middle Street) which does excellent Creole food, or the Cara Lodge (above). There is no doubt that crime is serious, particularly in Georgetown, although many think the situation is improving. Others are less optimistic, and fear of crime constantly preys on the locals. Over several weeks, however, the author had no problems. Certainly, fear of crime should not overshadow a visit to this city, the vast majority of whose citizen are generous, engaging and helpful. That said, the usual, common sense precautions are required; avoid displays of jewelry and cameras; take taxis to get around at night: steer clear of the areas that the locals themselves regard as troublesome (eg Albertown). As to health, the inevitable problems of the tropics arise. Hygiene is variable and stomach upsets are not uncommon. Never drink tap water (bottled water is plentiful). Swimming in rivers is a fabulous experience, but local advice should be sought (the villagers generally know where the sting rays hang out, and the electric eels). Guyana (Bradt, 2008) is an excellent guidebook, and seems to be the only one. 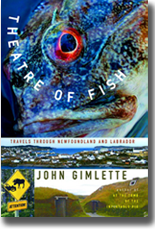 "John Gimlette has written a glorious travel book, his first, in which the country's craziness is portrayed with humour, insight and considerable deftness of touch. As a historian of the absurd he is superlative"